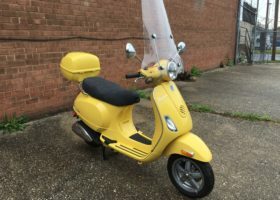 Up for sale is this pristine yellow Vespa 2007 LX50 with super low miles (112 miles to be exact). Comes with top case and wind shield. This is practically a brand new bike.